Thursday was supposed to be a rest/ cross training day but since I knew the likelihood of me running today was pretty nil, I optimistically packed my running gear. It was a pretty good day at work. We were fully staffed, and even with the hectic-ness of month end, new month, year end and new year all at once, it was still good. I was looking forward to a good run after work. I wasn’t too eager to find out just how many people were working on their New Year’s resolutions but oh well. It wasn’t until 4:45 that things went screwy. I lost my mojo (if I ever had any to begin with). I had absolutely no desire to go for a run or deal with the after work New Year crowd. Even my drive home sounded horrible. It wasn’t except for the random tears that started on the way. For no flippin’ reason!!!! Seriously nothing was wrong but I was crying. Today was my late day, so driving home last night in between sniffs, I thought about the logistics of a morning run. I even laid out clothes before sleeping last night. Then I went to sleep in the hopes that I would wake up in a better mood. When my alarm went off, I rolled over and pulled back the curtain, still dark. I hit snooze. Second alarm went off, more dark, another snooze. This continued for all 5 alarms. I then had to drag myself out of bed for work. The funk was still around. I treated myself to a peppermint mocha along the commute hoping that it would help. Not so much, I almost cried twice at work before 11:00. What the hell. 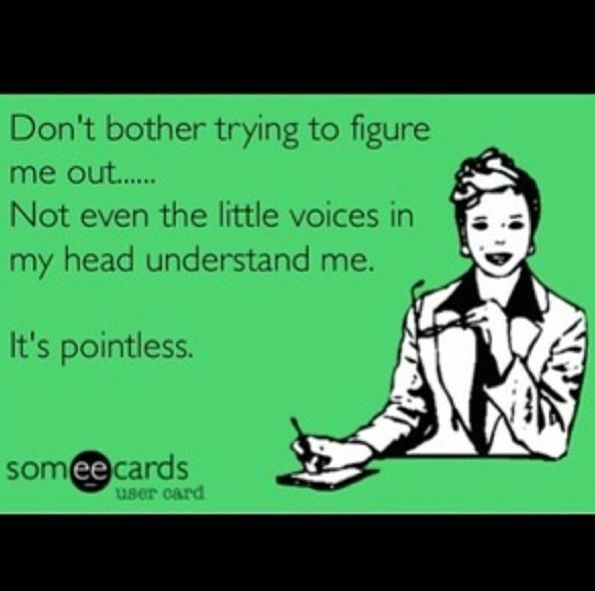 I really don’t understand it. By the time I got off work, all I wanted to do was eat a large pizza, but I didn’t. Mostly because I didn’t want to pay for it, so I can’t even call it a will power win. 8 miles are on the calendar for tomorrow but I missed a 4 mile training run. So here’s to hoping for a good run of some sort tomorrow and a better mood. Or at least one that makes sense. Anyone else ever randomly cry for no reason? I see everyone is doing great with their goals so far!! Such a great thing to read! Well. I’m sorry you had a mysteriously rough day too. I’ve had this happen…I blame it on random things… like the earths gravitational pull, or a full moon, or….whatever I can. Lol! I hope you make it out tomorrow! Hmmm, I work 5 blocks from the ocean, maybe I can blame the tides:) Thanks, I hope you have a good day too. I feel you about the random cries! It doesn’t happen to me often, but when it does I feel better after. Hope you have a good run today! Thanks! It’s just frustrating when there’s no reason. I hate the random tears… nothing makes me feel worse than the random tears I feel I can’t control – So, I really hope that you have a better day and that your run goes well! It’s like they say, salt water cures all, whether it’s the sea, sweat or tears! 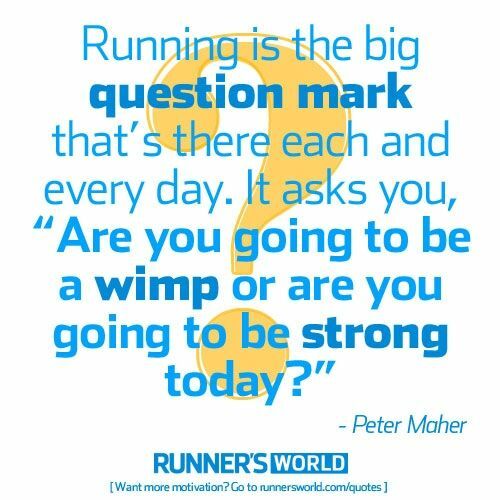 Get out there and run, you’ll feel better afterwards! Just don’t cry when you run or you may scare people off of running – ha! That made me laugh, thanks!! Aww, sorry about the sucky day. Sometimes it just happens! I cry when I get angry, of all things. Hope tomorrow is a better day! Anger I can do, but I hate crying even when there is a reason. It gives me a hangover, haha! Aw so sorry about the tears! We all get emotional sometimes, who knows maybe it’s a little post-holiday depression? There is Thanksgiving, then Christmas is a flurry of silver and gold and presents and cookies and excess, then it’s New Years-which is so hyped-and then, wham..back to normal life. Just get out there and run, it may not fix everything but I guarantee you will feel better! Thank you and a run really did help out :).